A maverick + pioneer of postmodern dance, Washington State native Trisha Brown has spent a lifetime exploring movement that finds the extraordinary in the everyday + challenges existing perceptions of performance. She has pushed the limits of choreography + changed modern dance forever. At 79, Brown has choreographed her last dances. Her company returns to the University of Washington’s Meany Hall for a retrospective and their final performances of Brown’s works for the proscenium stage, Feb 4-6. Program to include PRESENT TENSE (2003), Son of Gone Fishin’ (1981), Rogues (2011) and You can see us (1995). Alongside the performances at UW Meany Hall, Velocity is thrilled to present two special events, one through the Velocity Sessions, a partnership with UW World Series. The Master Class will begin with a warm up concentrating on clarity and freedom of movement, which is then applied to learning Brown’s movement vocabulary through phrases from TBDC repertory. Emphasis is placed on learning movement as the Company does, with attention to detail, spatial clarity, performance quality, and dancing with others. Directly following the master class, stay for a conversation with Associate Artistic Directors of the Trisha Brown Dance Company (Carolyn Lucas and Diane Madden) and BANDALOOP Artistic Director Amelia Rudolph. The discussion will focus on the creation and performance of site-specific work, including a discussion of Trisha Brown’s pioneering leadership in this field with Early Works such as “Man Walking Down the Side of a Building” (1970) (to be performed by BANDALOOP at Meany Hall on Friday, Feb 5), and the newest iteration of the Trisha Brown Dance Company, Trisha Brown: In Plain Site which mines and recombines material from Brown’s vast repertory to accommodate the unique spatial demands of a particular venue (such as the Seattle Art Museum on Saturday, February 6, at 2pm). 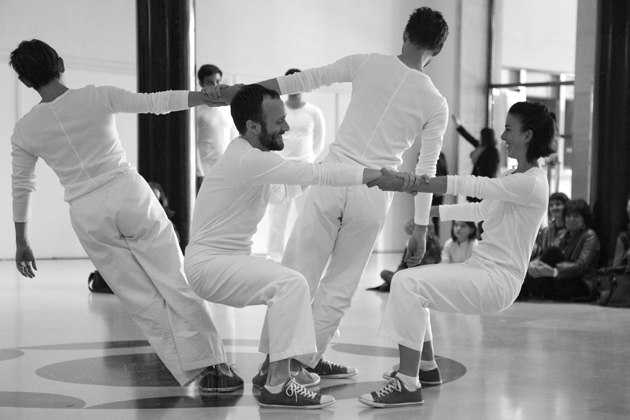 This Audience Guide demystifies the revolutionary performances of Trisha Brown, with equal emphasis on presentation, participation, + social connection. Tonya Lockyer shares video clips of Trisha Brown’s work, taking participants through an experience of the ideas driving her work, followed by a group dialogue. 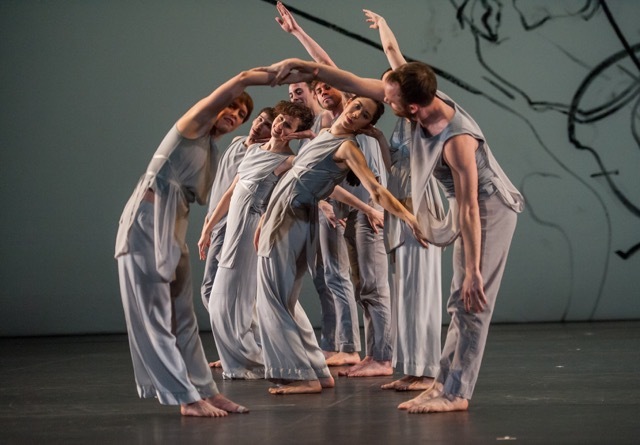 Then we’ll take a Field Trip to see Trisha Brown: In Plain Site at SAM / 2 PM.